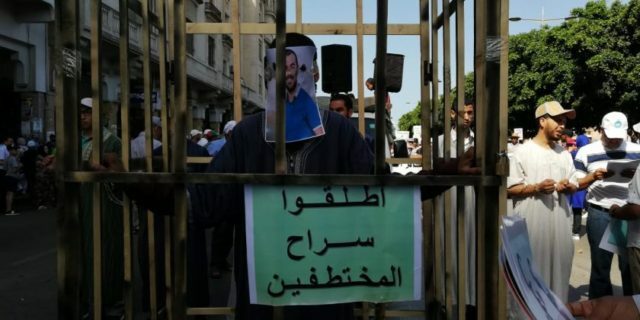 Rabat - Thousands of protesters in Rabat rallied once again on Sunday to denounce the harsh sentences against the 54 detainees of the Hirak movement. Rabat – Thousands of protesters in Rabat rallied once again on Sunday to denounce the harsh sentences against the 54 detainees of the Hirak movement. 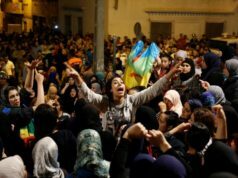 More than 6,000 participated in Rabat’s march, including families of the detainees and the Secretary-General of the Unified Socialist Party (PSU) Nabila Mounib. Casablanca witnessed nearly 10,000 demonstrators voicing their protest against the rulings. and chanted slogans denouncing the security crackdown against the 2016 and 2017 protests. Demonstrations erupted after Al-Hoceima province fishmonger Mouhcine Fikri, was crushed to death by a garbage truck while trying to retrieve confiscated goods. 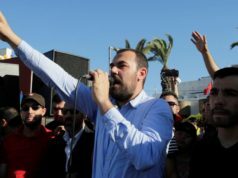 Since a June 26 ruling by a Casablanca court that gave sentences ranging from 1 to 20 years for the Hirak Rif activists, the government received a nationwide backlash. 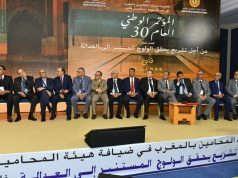 Activists, politicians such as Head of Government Saad Eddine El Othmani, and international NGOs expressed solidarity or protested in Casablanca and Rabat, calling for the freedom of the detainees. Reacting to criticism, several government officials said their hands were tied, emphasizing that the cabinet could not interfere because the judiciary is independent. 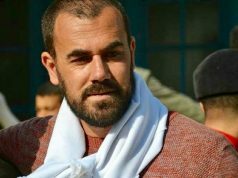 El Othmani regretted that his government cannot intervene in the Hirak Rif case, because the “judicial power” is an independent authority. 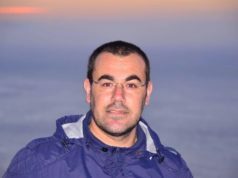 All of the detained activists, including Nasser Zefzafi and Nabil Ahamjik, decided to appeal the court’s decision, except Rabie E Ablaq. 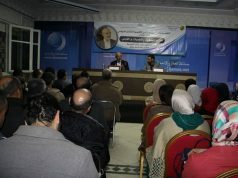 El Ablaq was on a hunger strike for more than 40 days and suspended the strike just a week ago.